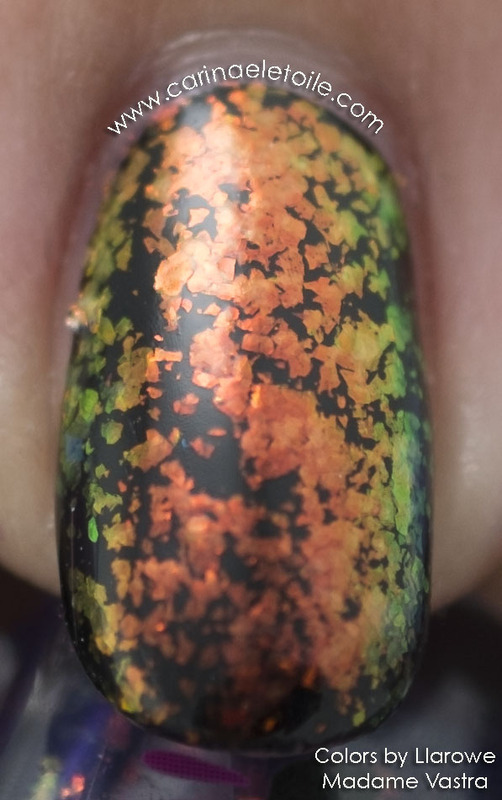 First off, when applied, Colors by Llarowe Caviar Wishes and Keanu Reeves Dreams appears to be slightly matte and has a very faint scattered holo. You can see what I mean in the two pictures below. 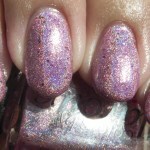 The pictures below is Colors by Llarowe Caviar Wishes and Keanu Reeves Dreams without topcoat. Direct Light; no top coat. 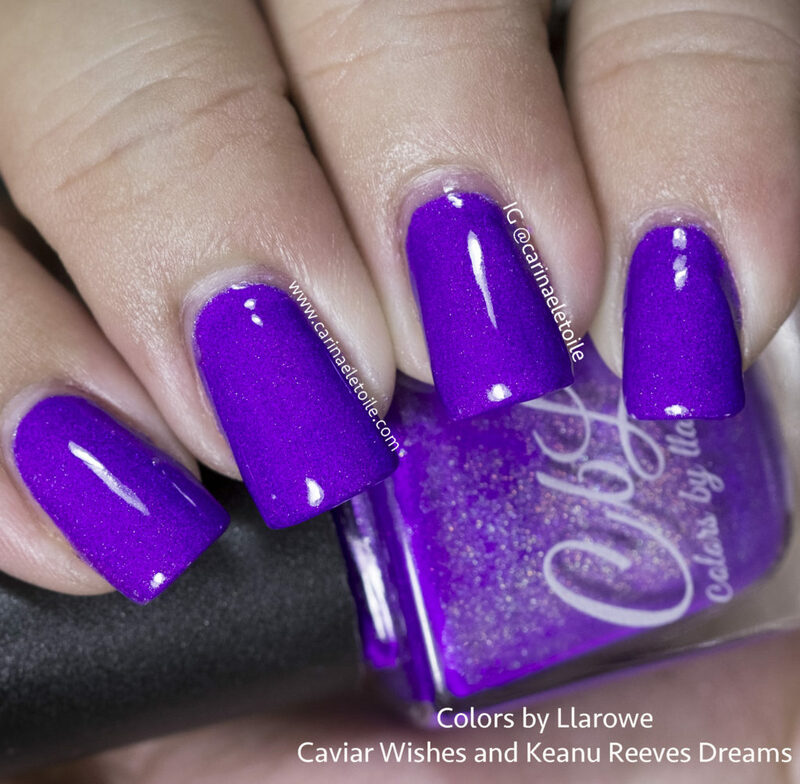 Now…in the next two pictures, Colors by Llarowe Caviar Wishes and Keanu Reeves Dreams does something dramatically different when I applied a top coat. It quite literally changed colors on me. Now, I know it wasn’t the top coat because I have been wearing this on my toes for the past month and I used KB Shimmer’s fast drying top coat. The nail tech was so amazed at the color change when she put the top coat on my toes. For my fingers, I used HK Girl’s fast drying top coat. 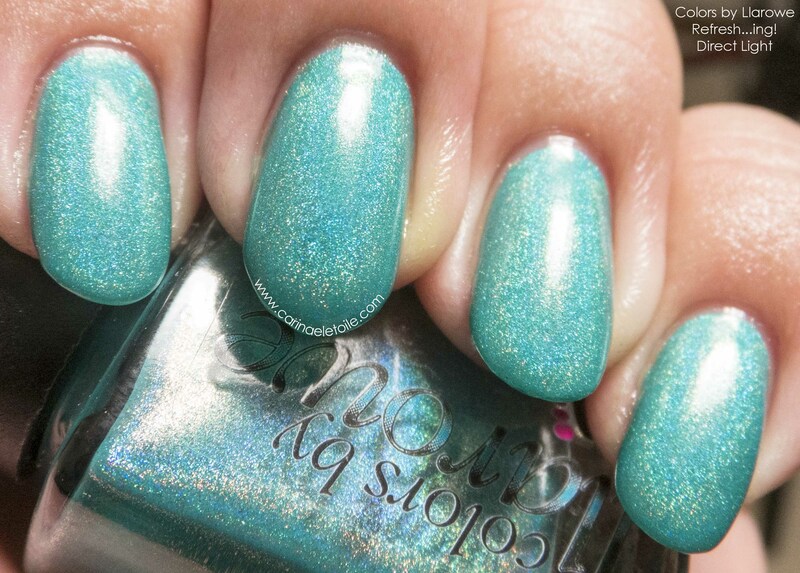 Low and behold…a crazy color change! 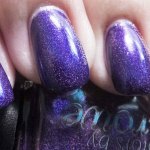 Indirect light – This is what Colors by Llarowe Caviar Wishes and Keanu Reeves Dreams morphed into when I slapped on a top coat. OMG, what a difference after top coat! I love it both ways honestly! What a fascinating transformation! Great swatches! 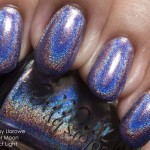 Kate wants you to read…Blue Stamping Polish Comparison – Sally Hansen – Will It Stamp? Thank you! It is quite dramatic, isn’t it? It was so dramatic my husband even commented on it.